From Goodreads: "For as long as she can remember, 17-year-old Alexis Forbes can hear the thoughts of others. Most recently, she is disturbed by the dark, unfamiliar voice of a frightening killer: callous, cunning, charismatic…and dead. She hears his every sinister thought. But she can’t tell anyone. No one would believe her. Alexis is suddenly being haunted by a terrifying past she doesn’t remember, and a ghost with a serious score to settle. Even Chance, the gorgeous new guy she’s falling for, has his own ghostly secret. He’s definitely not like any guy she’s ever met. Alexis soon discovers she has a connection to the dead and it runs much deeper than she could ever imagine. And if the sociopathic entity has his way, she’ll finally be sentenced to the fate she escaped thirteen years ago." Hi everyone! I am fortunate enough to be on the Whispering Hills blog tour hosted by the SupaGurl Books Blog! The ebook was supplied by SupaGurl Books, this does not in anyway change my review! 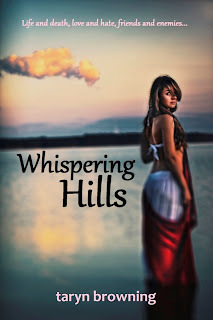 I was very excited to read Whispering Hills having read Dark Seeker by Taryn Browning not too long ago. I was definitely not disappointed! Whispering Hills is a journey of love and friendship, of course with some little added benefits! Alexis can hear other peoples thoughts and so can Chance the two main characters. Then there is Summer, the witch! Who would have thought that all this in one little town. Alexis was a great female lead. Falling hard and fast for the new boy in town Chance. There is something strange about him, she can't hear his thoughts like she can everyone else. Much to the dismay of her classmate Summer, Chance is hanging around far to much. Summer and Alexis never really spoke before but Summer has been noticing that maybe Summer is more than she once thought. Summer is probably my favourite character, which is unusual for me. Usually my favourite character is the dreamy boy! Not this time! Summer belongs to a family of witches and has this attitude that says 'get out of my face' without even needing to say anything. There is one thing that I will say, I think the two characters fell for each other far to quickly. It was a sort of insta-love kind of situation. Though for the premise of the book it did work pretty well. I loved the inclusion of ghosts! I haven't read many ghost stories and this one has definitely left me wanting to venture into it a bit more! I really enjoy Taryn Browning's writing style. It is easy and fast to read without being to simple. The story flowed really well with some unexpected twists along the way to keep you on your toes. I found that Whispering Hills bore a similarity to The Body Finder, which I also loved. 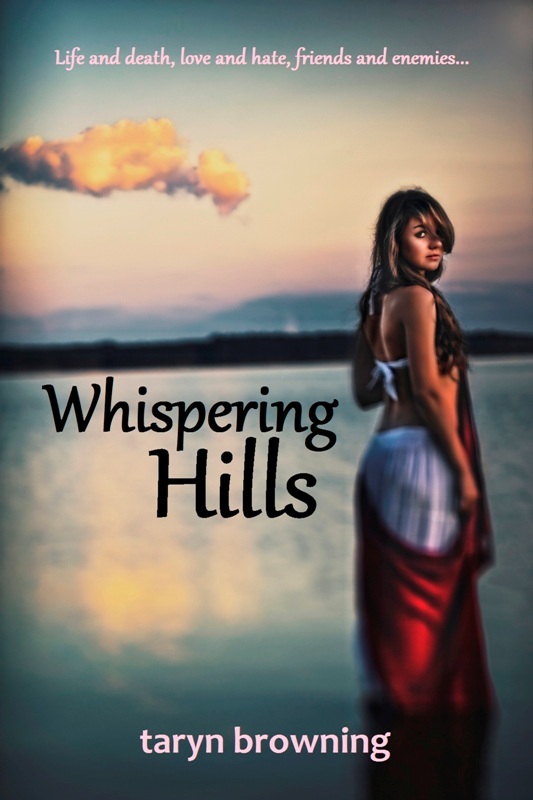 I definitely recommend Whispering Hills to YA fanatics, especially those who are into ghost stories, and even those that aren't. If you haven't already you should check out Dark Seeker, also by Taryn Browning, which I absolutely loved! Oh goodness. I LOVE ghosty stories, and I hear such good things about Taryn's Dark Seeker books! I'm not a fan of the instalove, either, but it sounds so gooood! Great review, Amy! Wonderful!